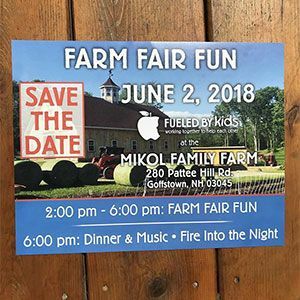 The United States Department of Agriculture defines food insecurity as “a household-level economic and social condition of limited or uncertain access to adequate foods”­—a condition from which an estimated 16 million American children suffer. While many of us are constantly occupied with school, work, and other activities, this statistic can seem distant from our busy lives. 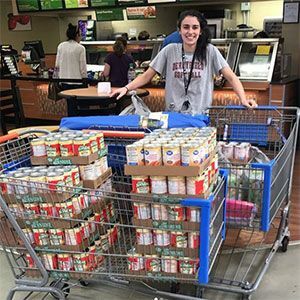 However, Gracie Mikol ’18 is fighting to expose and combat the issue of food insecurity within our very own Manchester community. In the fall of 2016, a conversation that Gracie had with a teacher at Parker-Varney Elementary School led to a shocking discovery. She learned how teachers would slip leftovers from the cafeteria into the bags of students suffering from homelessness or semi-homelessness to take home on Fridays. Gracie discovered that there were over 50 children at the Parker-Varney school who had been identified as “food-insecure” by the school social workers. Many of these children did not have steady access to food over the weekends. “I have been taught since I was very young that I should always use the blessings I was given to help those less fortunate than I,” Gracie says. 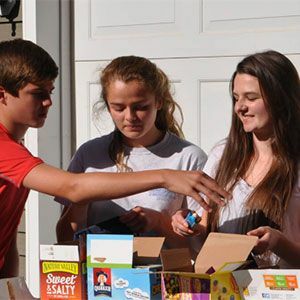 “While I grew up aware of children who had less than me, the conversation I had with the teacher made the struggle of food insecurity very real to me.” The teacher’s story was so compelling that Gracie decided to take action. Through additional research and discussion with teachers, social workers, and guidance counselors, she determined that the best method for addressing the issue would be to discreetly supply each of the children in need with string bags filled with food to take home over the weekend. The food is given directly to the children, “allowing them to have control over what happens to it.” Each of the bags contains enough to sustain a child for the 67 hours that they are away from school. And thus Fueled By Kids was born. The organization began relatively small, but as interest in its services grew, Gracie took the initiative to accommodate for the growth while working with her father: “The summer after my junior year, working at his marketing company, I filled out the 501(c)(3) application and worked with his designers to create a website and brochures.” Over the 2017-2018 school year, Fueled By Kids served six elementary schools, and is planning to extend services to two more schools in the 2018-2019 school year.